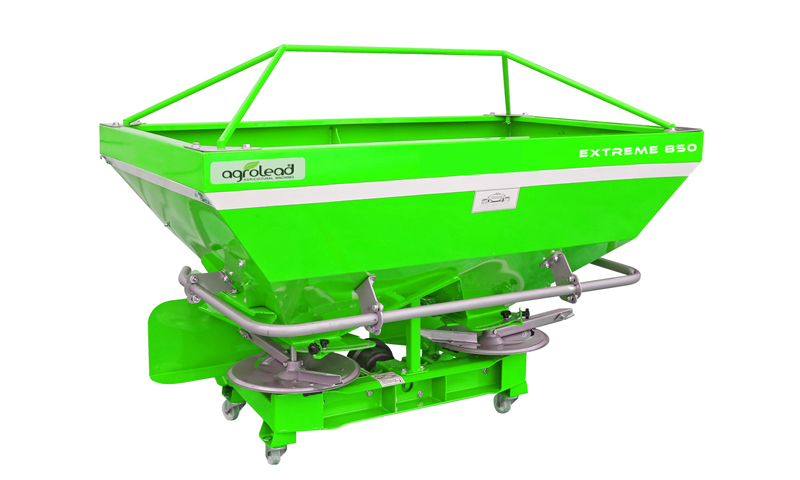 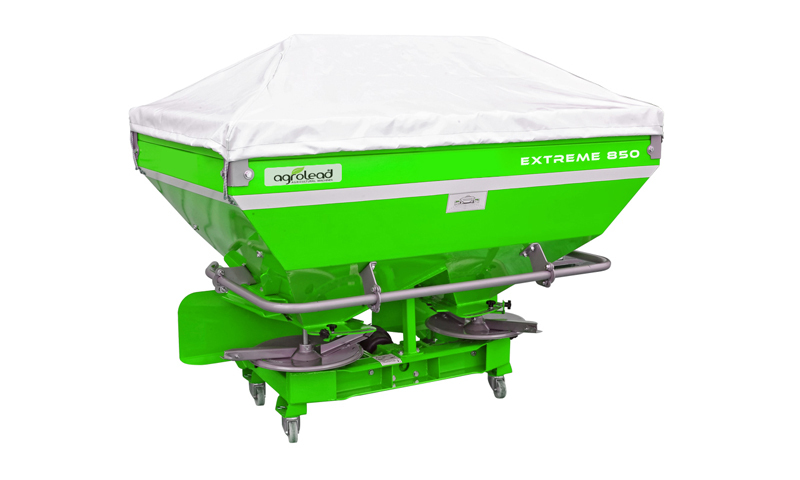 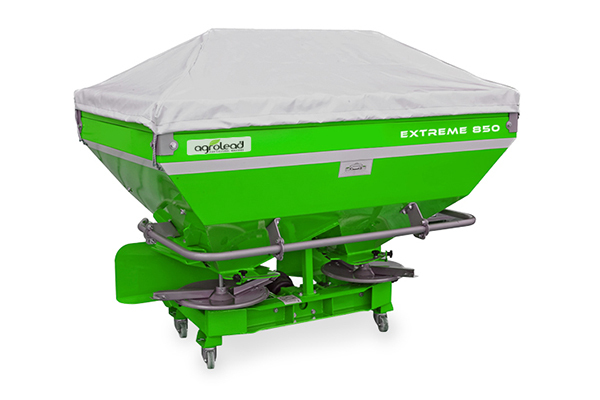 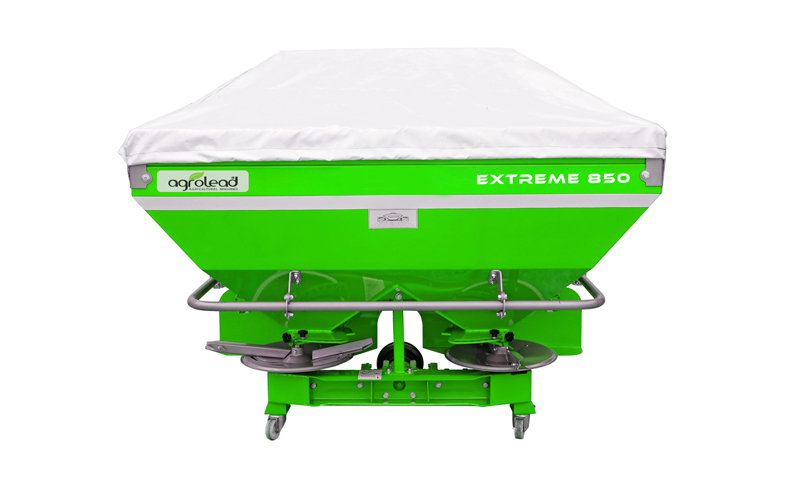 Extreme Series fertilizer spreaders which are manufactured by Agrolead, as pendant (hydraulic) type are connected to the tractor by means of three-point hanger system. 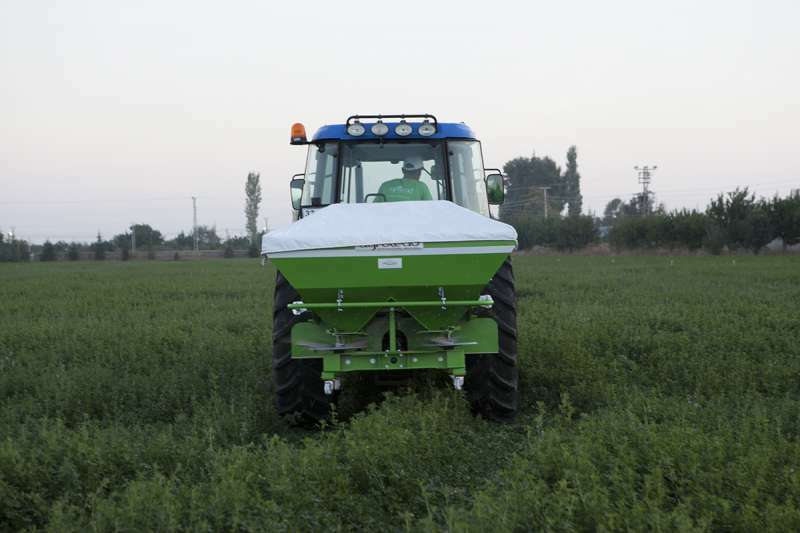 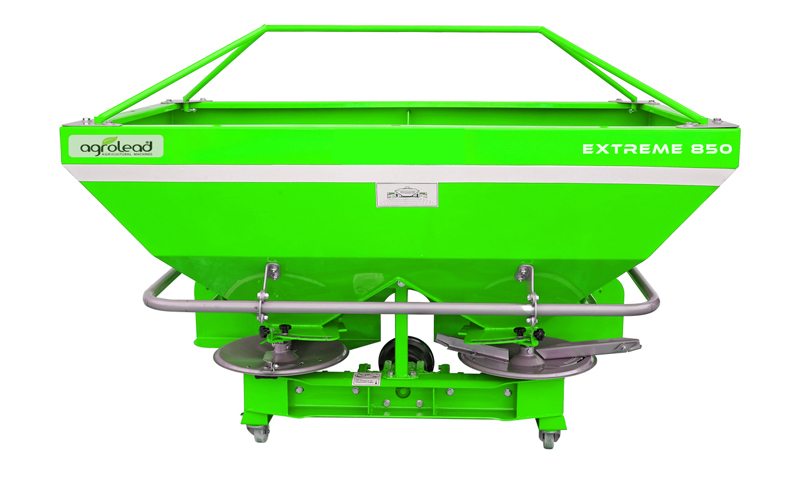 Main hopper is of 650 lt and the capacity of the fertilizer spreaders can be increased to 850 - 1000 lt with additions. 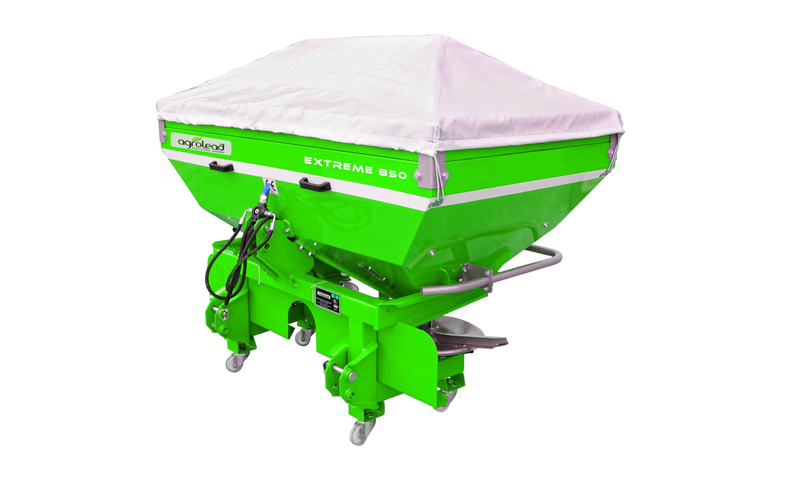 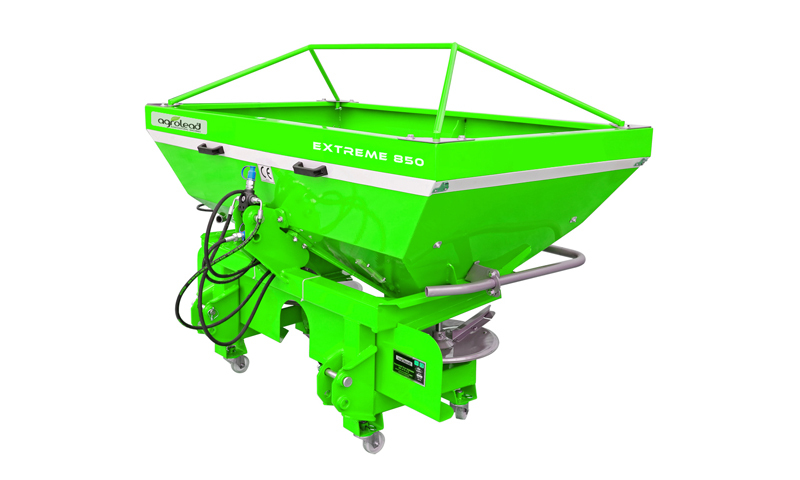 Extreme Series fertilizer spreaders are made in double hydraulic system as standard. 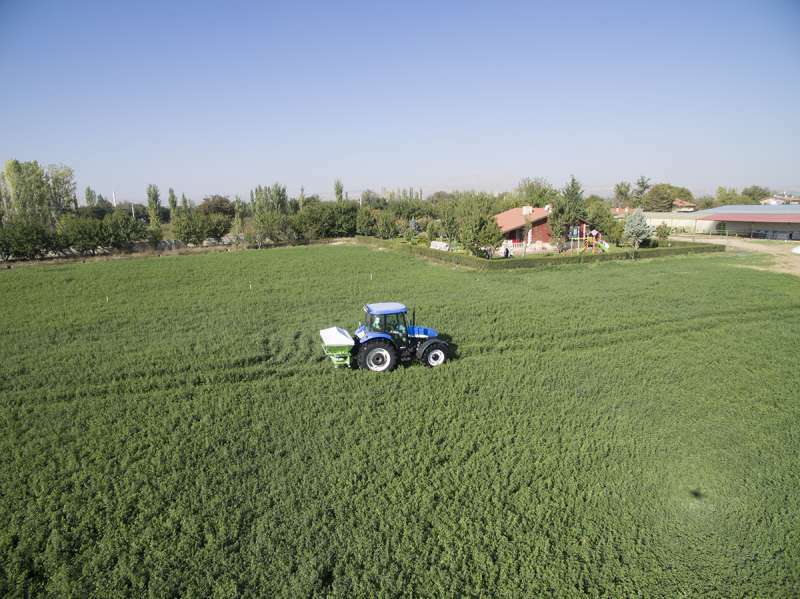 Thanks to the hydraulic control stick, the fertilizer spreading is made easily at the frontier starts from the tractor cabin and the unnecessary fertilizer consuming is avoided by closing it swiftly. 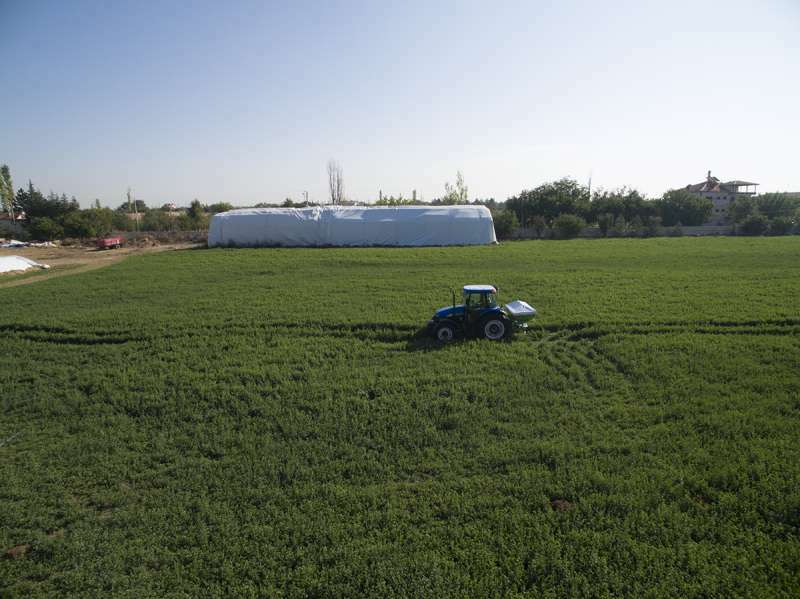 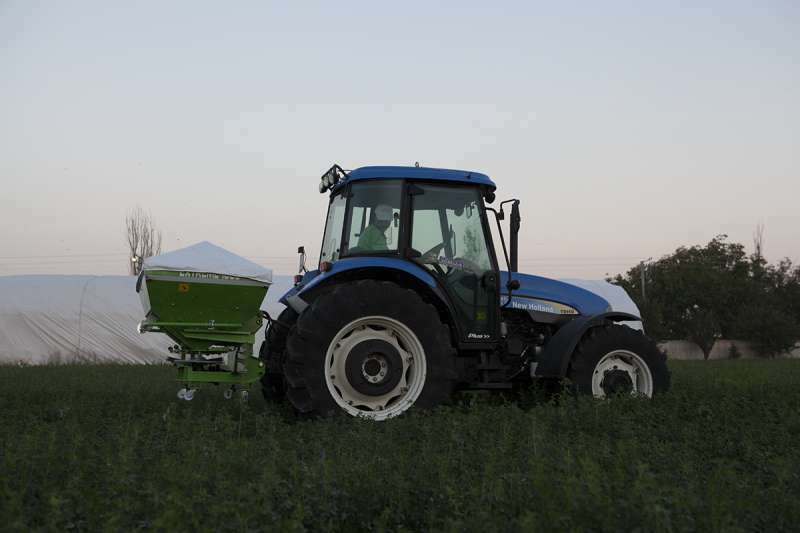 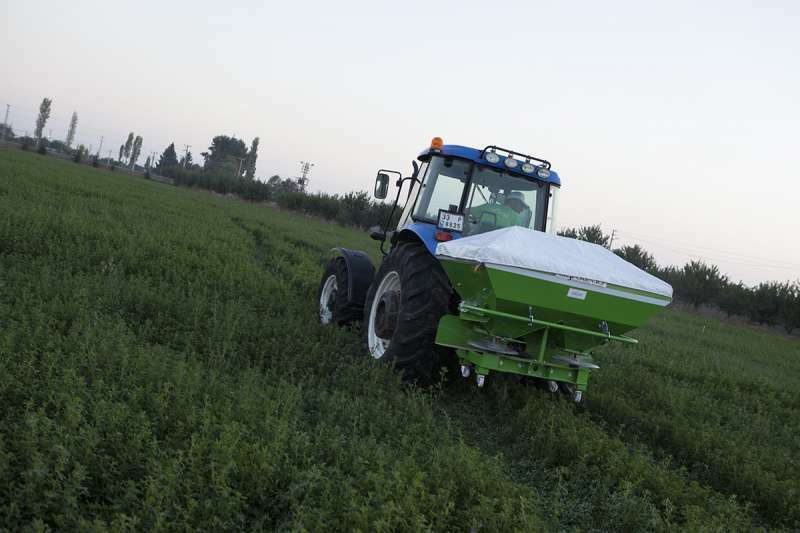 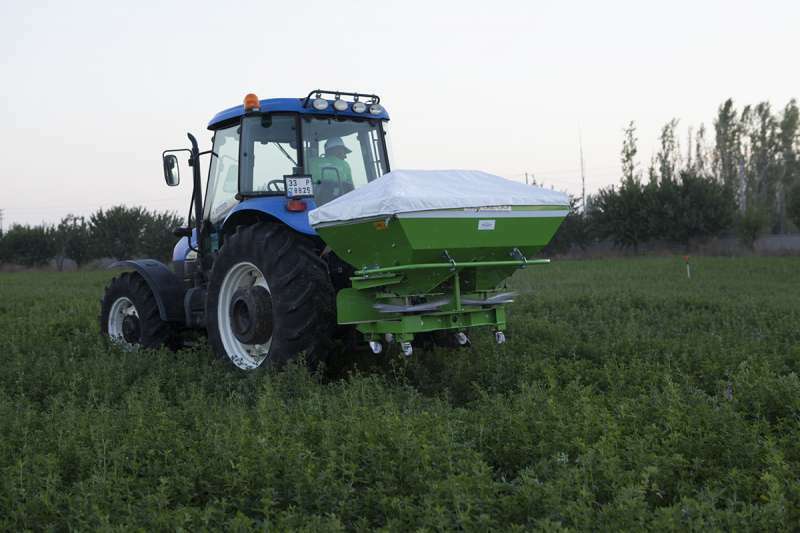 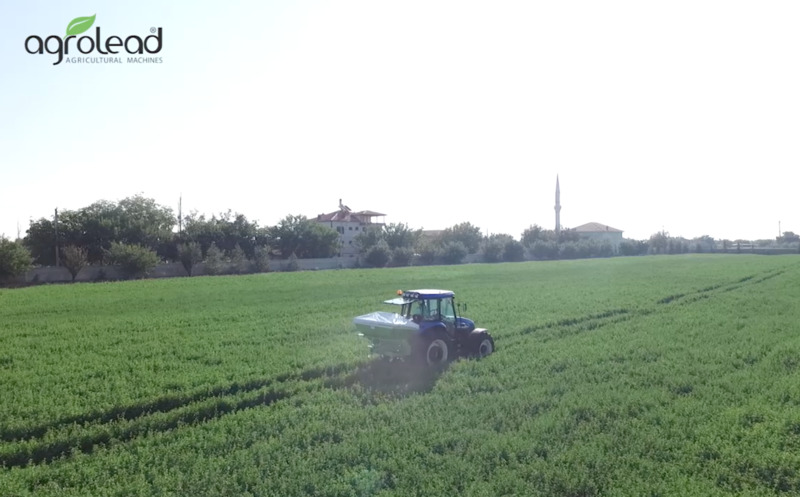 Spreading width of the machine can range between 10-24 m; however, these adjustments must be performed by changing the angle and the length of the wings on the disk depending on the fertilizer types. 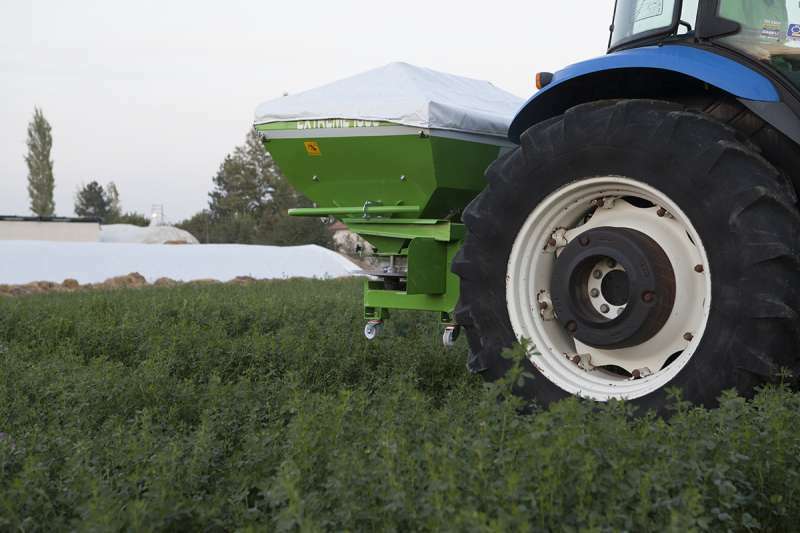 The fertilizer tank is halved by a separator sheet in reverse V shape at the bottom and the mixer in it is located vertically and the fertilizer flow is provided uninterruptedly.